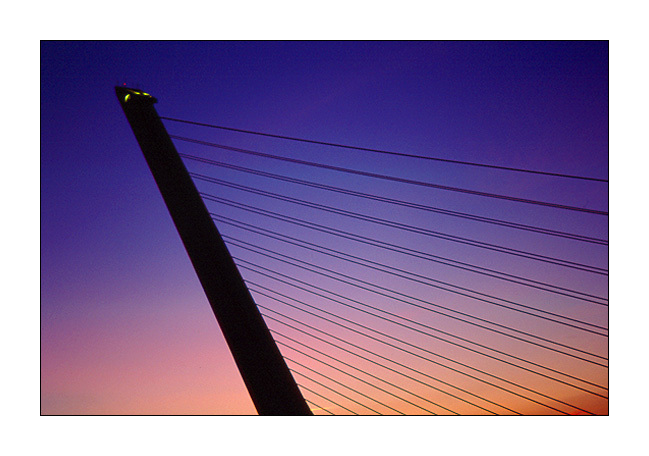 It`s a bridge over the Guadalquivir river in Sevilla, Spain. What beautifully elegant work! The background is gorgeous and the lines flow like a melody. Very nice backgroun solors. After the Lisbon harp the Sevilla harp, we can make an orchestra. I like it a lot. Excellent composition with great colors! This is absolutely fantastic! What a bridge! Mais uma "sinfonia" para Harpa! Lindissima. Parabens, teresa Rosa.